Kirby: Planet Robobot releases in the Americas exactly one week from today. SuperPhillip Central will no doubt be covering that, but until then, Kirby fans, why don't I satiate your appetite for Kirby with a list portraying the best to come out of HAL Laboratory and other developers? These ten Kirby titles are the best that feature Nintendo's determined and persevering pink puffball. After you've read my list and seen my arguments, feel free to let the community know your favorite Kirby games! Command up to ten Kirbys with the power of touch in Kirby Mass Attack! 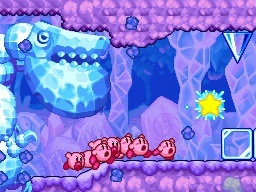 By tapping the Nintendo DS touch screen, you can create a star that your army of Kirbys will follow. Tap a foe or obstacle, and they'll charge at it like there's no tomorrow. Even with just using touch to control the Kirby squad instead of buttons and such, I never did feel out of control while maneuvering my pink puffball armada. This charmingly creative Kirby game may not be a typical platformer, but it's an amazing adventure that is full of incredibly clever ideas. This isn't the only touch-focused Kirby game on the list, so stay tuned! Borrowing the formula of Kirby's Dream Land 2, where Kirby joined up with three animal friends to help save the day, Kirby's Dream Land 3 introduces three more animal buddies into the fray, each with their own special abilities to assist Kirby on his adventure. Speaking of abilities, new copy abilities such as Kirby being able to launch himself into enemies as a fireball after eating a fire-based foe, open up the gameplay greatly and changes things up nicely. 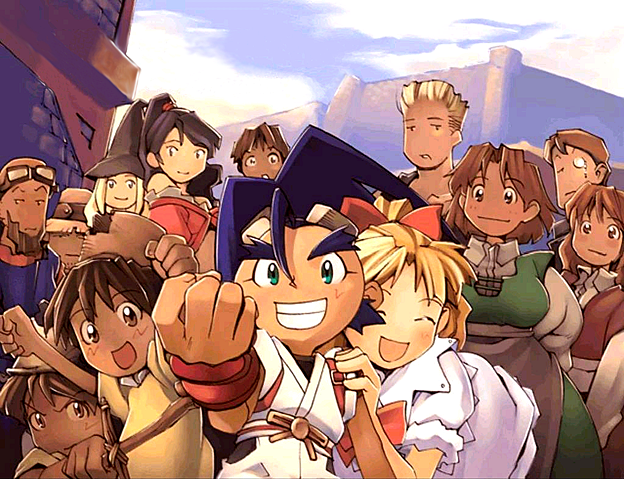 Then, there's the absolutely gorgeous and unique art style for the game to admire as well. 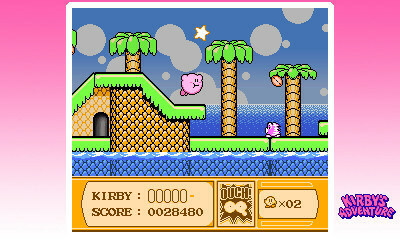 Kirby's Dream Land 3 was the final published release from Nintendo for the Super Nintendo. 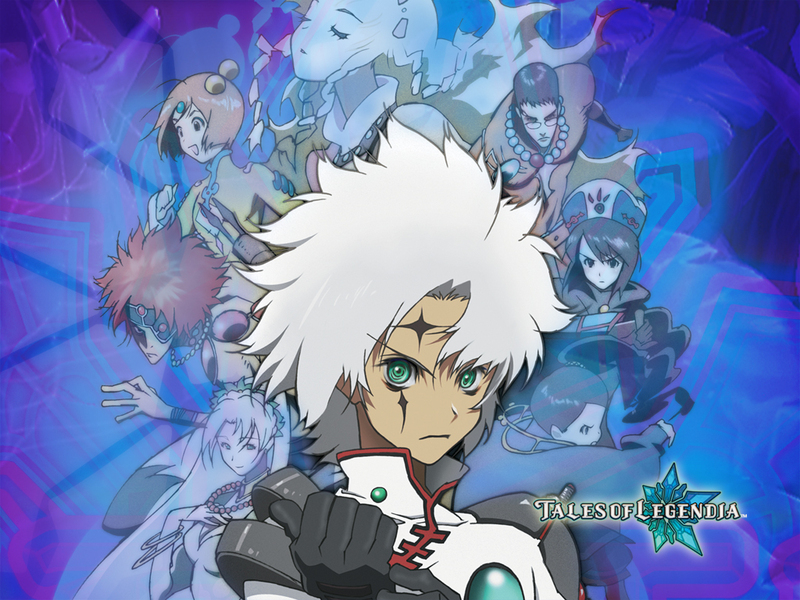 PAL territories wouldn't see the game until over a decade later via Wii Virtual Console import. The sole non-platformer on this list of top Kirby games, Kirby Air Ride is a simplistic racer on the surface with surprising depth. The various racing machine Kirby and friends pilot accelerate on their own. 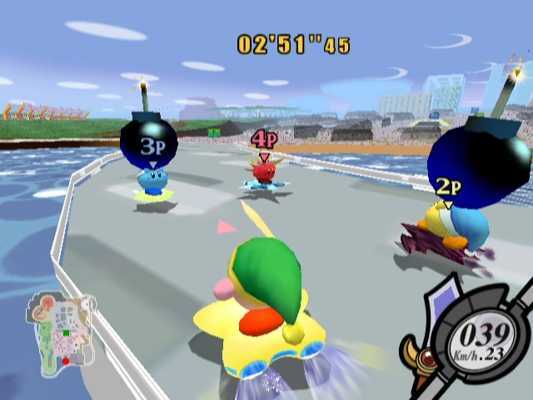 The player just controls which direction they move, while using the A button to do tasks like braking, charging, boosting, and Kirby's signature inhaling ability to copy enemies' abilities. 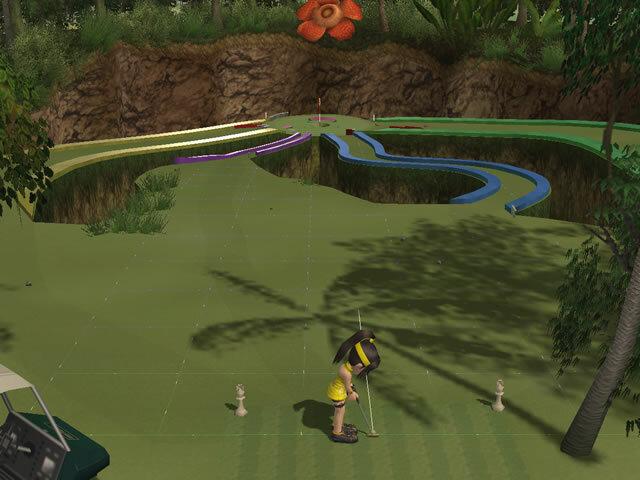 The multi-tiered tracks feature many shortcuts and ways to go, making each fun but difficult to master. Apart from the main racing mode, there are two others: a top down racer and City Trial. 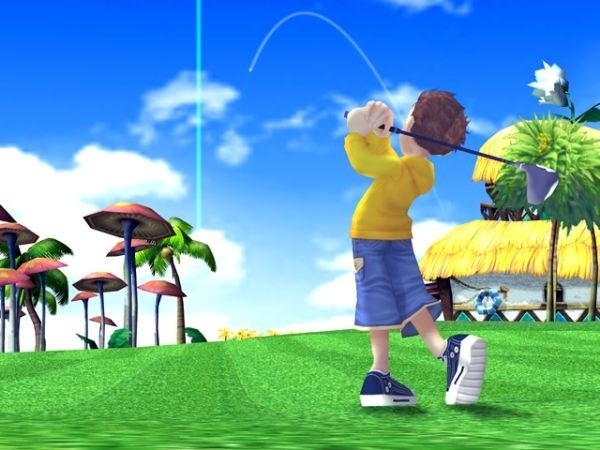 Each possess their own checklist of challenges, where completing a challenge unlocks a game bonus, whether it's a new racer, vehicle, or other goody. 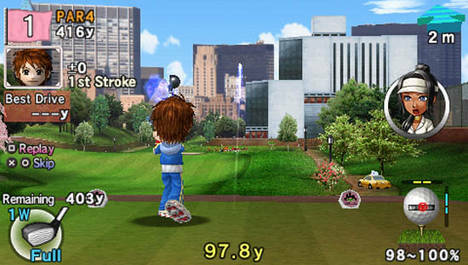 Not given much delight from critics at the time of release, the game has since seen a cult following. Taking the trademark abilities of Kirby-- inhaling foes, copying their powers, and flying-- and removing them might seem like a poor idea for a Kirby game. Nonetheless, Kirby's Epic Yarn is a delightful 2D platformer that may err on the very easy side, but remains an adorable, charming, and wonderful game regardless. 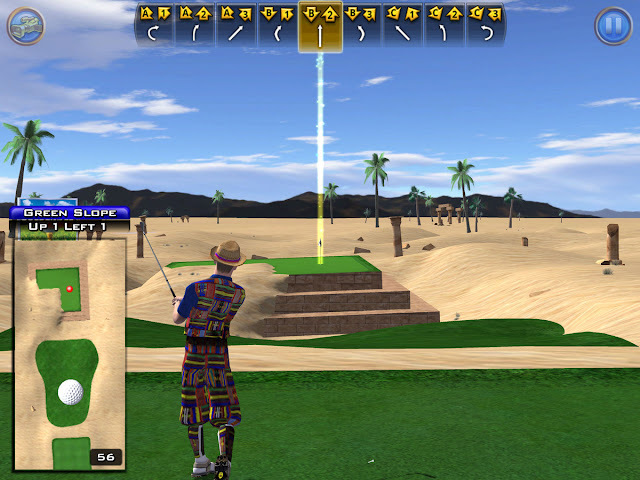 The game is rendered with a knitted style, and the world is made of fabrics and clothing. 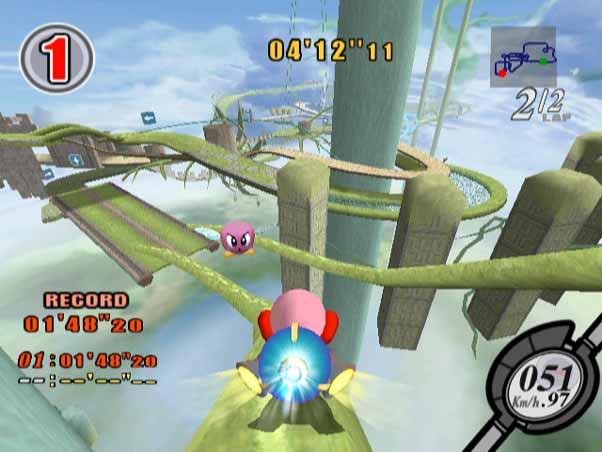 Kirby can transform into numerous forms, such as a car and a submarine, for example. 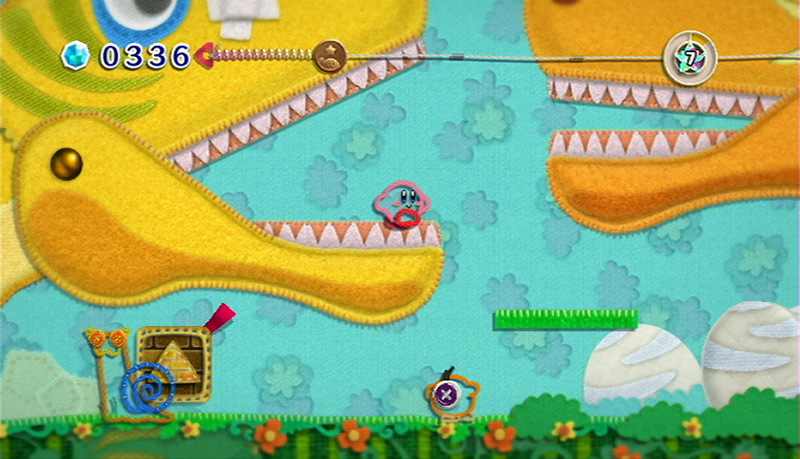 The low difficulty of the game comes from the inability for Kirby to die. Instead, when Kirby takes damage or falls into a pit, the player loses a fair amount of beads, the currency of the game. A side goal of each level is to get a specific total of beads, so dying a lot is counter-intuitive to this objective. 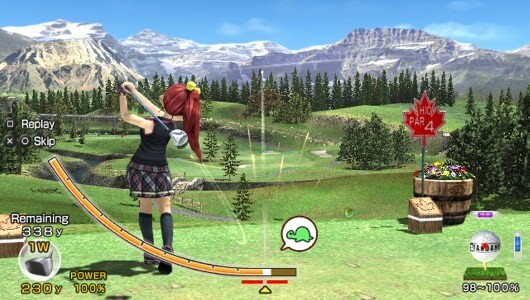 Additionally, a second player can join in for some co-op fun. While it won't make you sweat with is challenge, Kirby's Epic Yarn is one truly epic Kirby game. 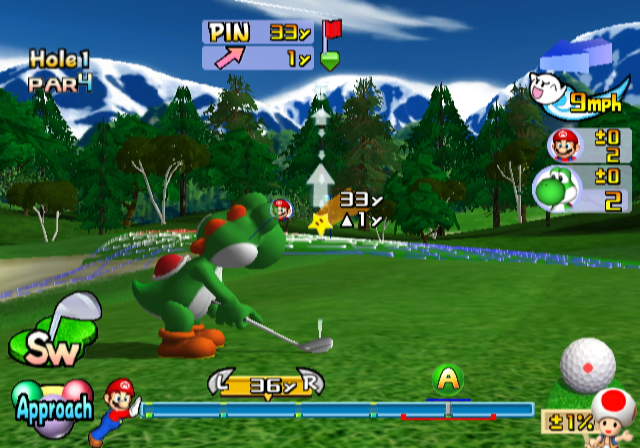 Many franchises entered the third-dimension on the Nintendo 64, and Kirby did as well... well, sort of. 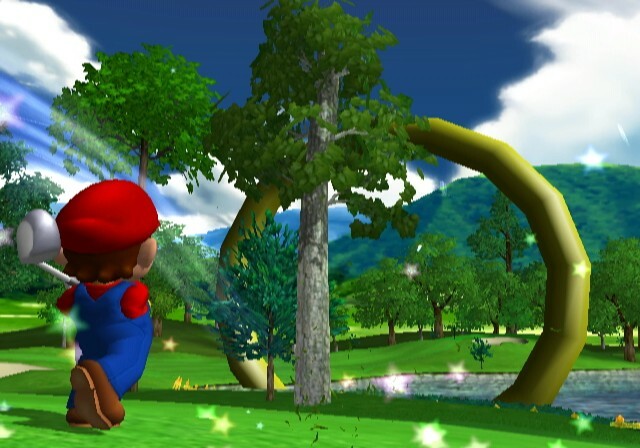 Kirby 64: The Crystal Shards is a 2.5-D platformer where environments, levels, and characters are made up of 3D. The paths in levels themselves are 2D, sometimes circling around an object to impressive results. 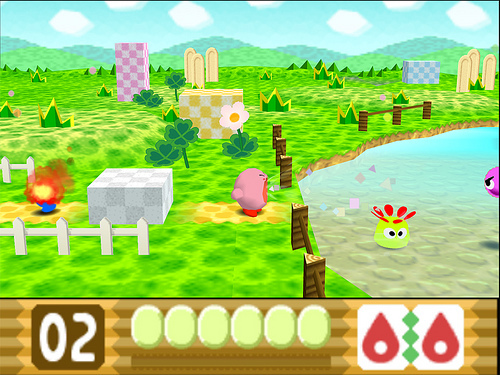 The biggest shift gameplay-wise in Kirby 64 is the ability to combine two Kirby powers together to create a multitude of powerful combinations. 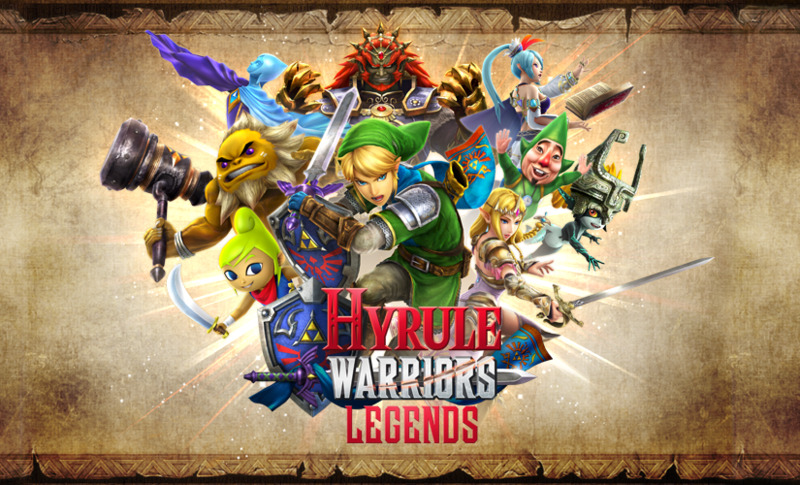 The titular crystal shards are optional collectibles to gather, though collecting them all reveals the true final boss and ending. 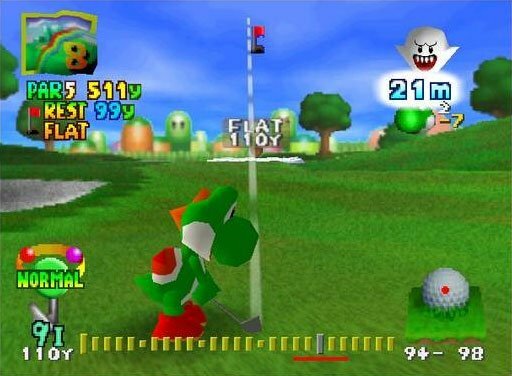 Kirby 64 is just the right length. It doesn't overstay its welcome, nor does it feel like you got the raw end of the deal game size-wise. Like any good Kirby game worth its weight in Maxim Tomatoes, it encourages multiple play-throughs, each as enjoyable as the last. 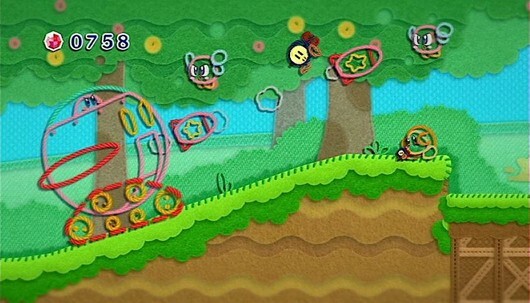 I told you guys and gals that there would be another touch-centric Kirby game, and here it is. Kirby: Canvas Curse was the game for me that gave the Nintendo DS touch screen value to me early on in the system's life. 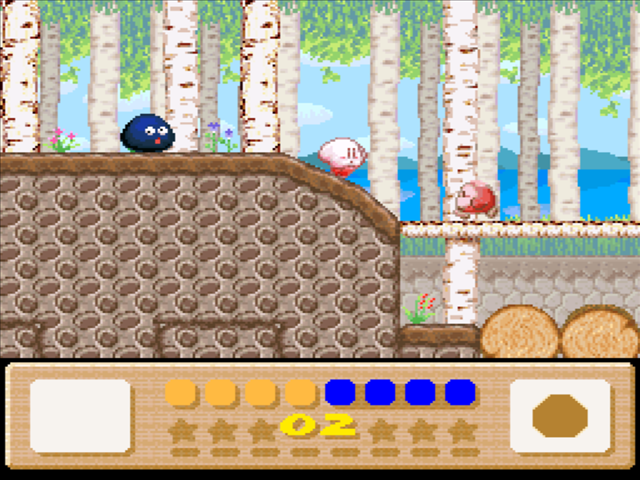 The game involves players drawing lines to guide Kirby and the other three unlockable playable characters through levels filled with enemies, obstacles, and challenges. 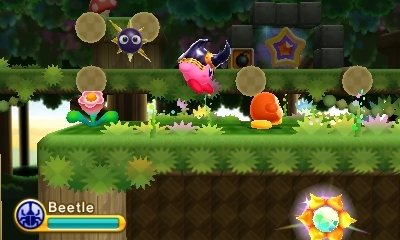 Kirby's trademark copy ability is here and shines, allowing Kirby to smack into a foe, take its power, and use it to solve puzzles within levels and take it to enemies. 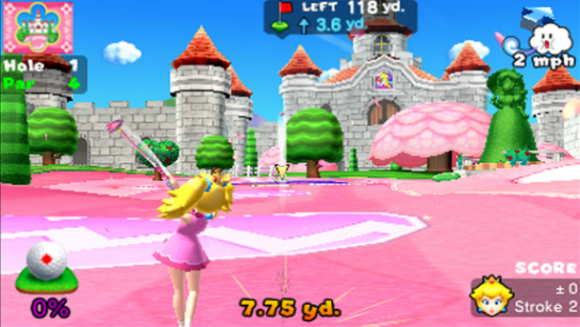 The rainbow lines that players draw can also be used as a shield to block projectiles and other dangers that would otherwise harm Kirby. 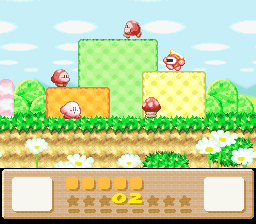 Packed with content, Kirby: Canvas Curse was the Nintendo DS game that made the summer after the system's launch much easier to cope with until the deluge of great software hit the system that fall. 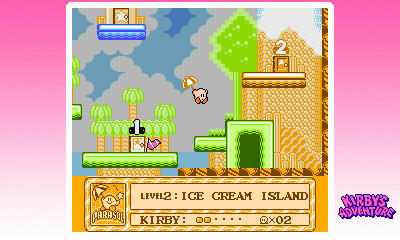 Players around the globe got to finally see Kirby in full, glorious color in a video game with Kirby's Adventure, the sole NES title in the Kirby franchise. 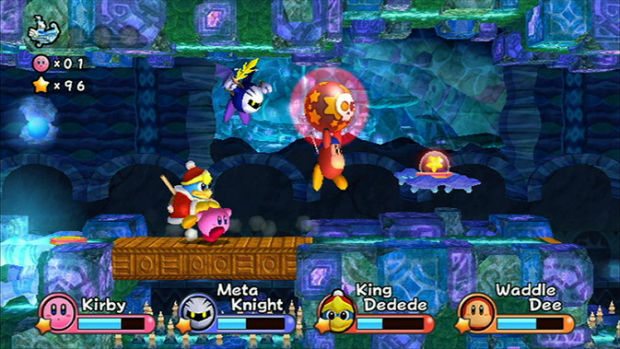 It also marks the first appearance of fan favorite character Meta Knight, and gave players the ability to finally save their progress mid-game. Let me tell you-- that save feature is a godsend, as Kirby's Adventure isn't your typical short Kirby game that fans at the time had come to expect from the pink puffball. Featuring seven wonderful worlds, hidden secrets, entertaining boss battles, and the charm that Kirby games exude, Kirby's Adventure delivers on almost every aspect. 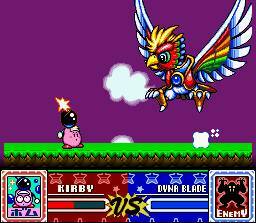 A Game Boy Advance remake, Kirby: Nightmare in Dream Land, released in 2002, while a 3D Classics Nintendo 3DS eShop version launched in 2011. While the remake is a very good game, I would have felt remiss if I didn't include the original, genuine article, the OG NES game, on this list instead. 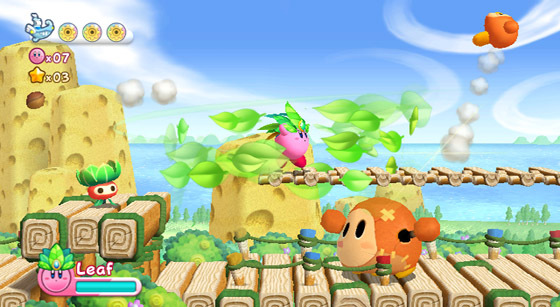 Using the tried and true formula of past Kirby games, Kirby's Return to Dream Land (known as Kirby's Adventure Wii in other parts of the world) marked the first Kirby platformer to hit a home console since Kirby 64. The wait was definitely worth it. All the enjoyable and endearing gameplay goodness the Kirby series is known for is present and accounted for in Return to Dream Land. However, this time Kirby doesn't have to go it alone. 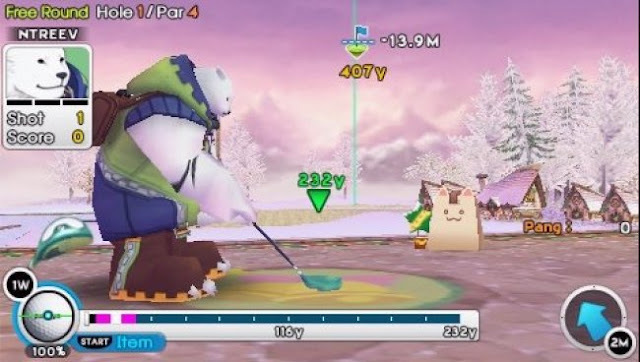 Return to Dream Land offers cooperative multiplayer for up to four players to engage on an epic adventure, even allowing them to stand on top of one another's heads like a totem to move through levels as a synchronized team. 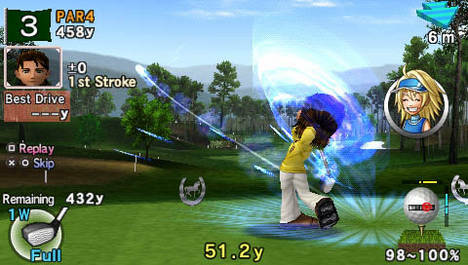 The gameplay element of copying abilities from enemies is here, as are numerous Energy Spheres that give extra incentive to explore the creative and cleverly designed levels of the game. 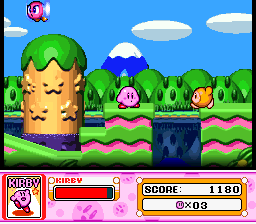 It might not have revolutionized the Kirby series as we know it, but Kirby's Return to Dream Land is almost as good a Kirby game as you'll ever play. Almost. 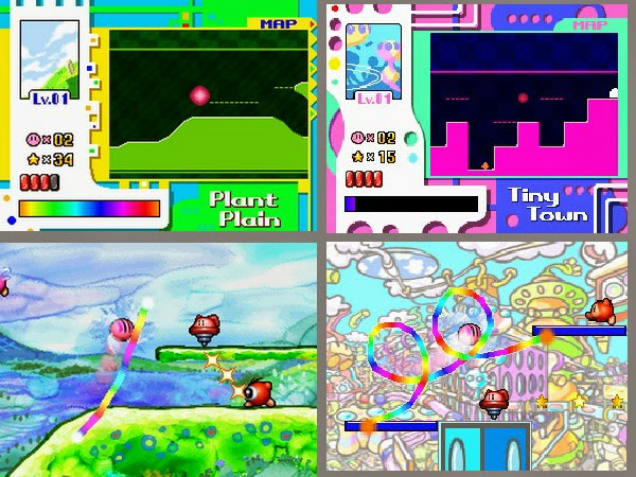 While we wait patiently for Kirby: Triple Deluxe's successor, Kirby: Planet Robobot, to release in North America next week, allow me to talk about what I consider to be the second best Kirby game ever created. 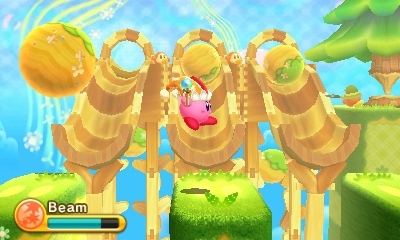 Kirby: Triple Deluxe might not push the envelope for Kirby platformers, but it executes the formula so incredibly well. 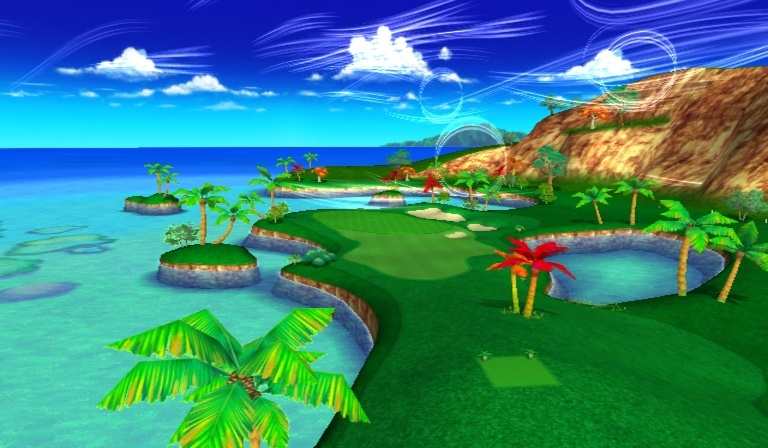 The levels are masterful in their designs, using the Nintendo 3DS's stereoscopic 3D to have them sprawled in both the foreground and the background. Some really nifty visual trickery is on display here. The new powers such as Archer, Bell, and Circus, bring some new tricks to Kirby's ever-growing arsenal, and the visuals are as stellar as ever. 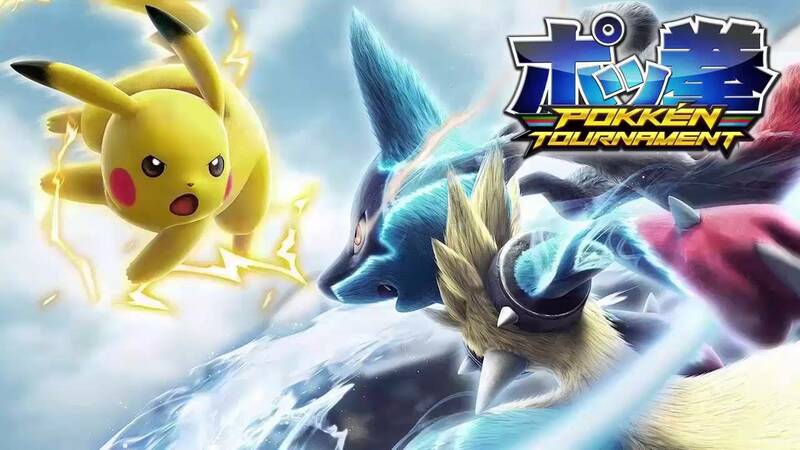 Bonus modes such as one where you play the entire adventure as King Dedede, and the mighty challenging True Arena, bring even more gameplay greatness to players. 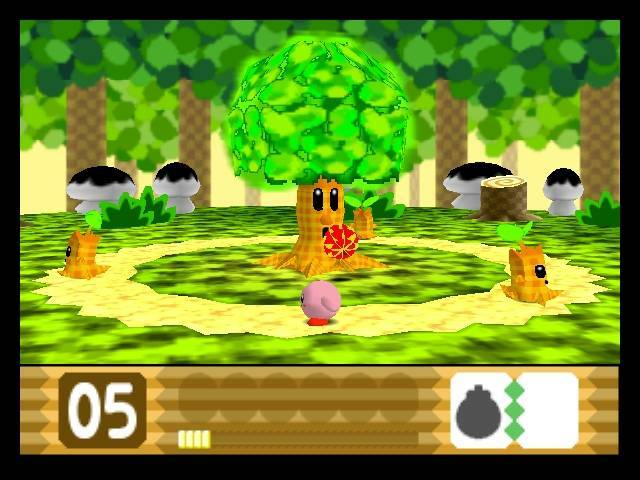 For a handheld Kirby game, Kirby: Triple Deluxe can't be beat. What's better than one Kirby game? Well, let me answer that for you-- how about seven Kirby games and some bonus goodies! That's exactly what you get with Kirby Super Star (known as Kirby's Fun Pak in PAL territories). This compilation has several exciting mini-adventures in it, such as a re-imagining of the original Kirby's Dream Land with Spring Breeze, a four level journey to stop a crop-bothering bird in Dyna Blade, a gourmand's dream in the form of a food-chomping race against King Dedede in Gourmet Race, a massive system of rooms filled with 60 treasures in The Great Cave Offensive, a mission to take down Meta Knight's ship in Revenge of Meta Knight, the biggest adventure in the game known as Milky Way Wishes, and a coliseum series of battles in The Arena. A myriad of sub games are included as well. If that isn't enough, then you must be as insatiable as Kirby's appetite! It's this huge stream of good games and sub games that makes Kirby Super Star my pick for best Kirby title. 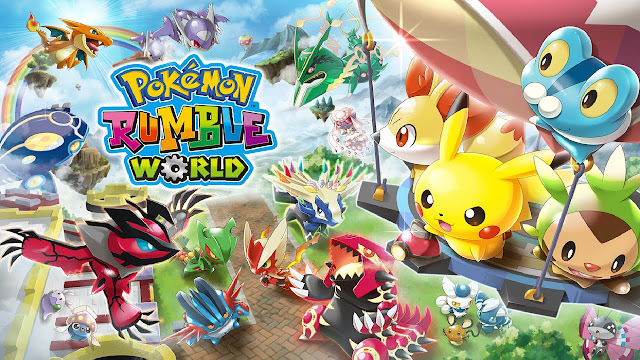 For the third May in a row, SuperPhillip Central celebrates the Nintendo 3DS with a 3DS-centric review month. While May's end is quickly approaching, I have several more reviews before we say goodbye to this special month. This next review covers a game that will mostly be overlooked on the Nintendo 3DS eShop despite its most welcoming price of 99 cents. It's Digger Dan DX! 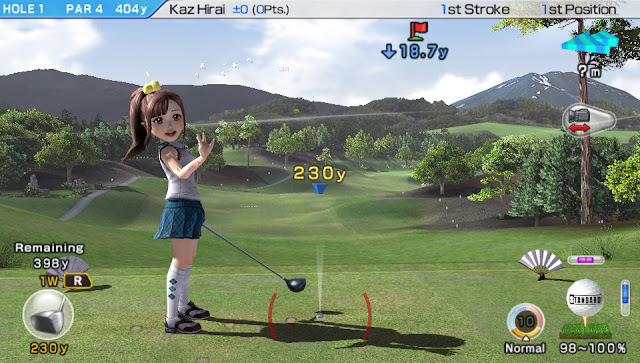 With mobile gaming taking lots of consumers by storm, it always confused me why some developers on dedicated handheld storefronts didn't aim to make bite-sized games for as low of a price as what the App Store and Google Play Store offer. Now, I'm not saying something like Shovel Knight or SteamWorld Dig should be $1, but for smaller games with less going on, this pricing structure can result in more impulse purchases. I know that's exactly the reason I purchased Digger Dan DX, other than looking at the intriguing trailer. For $0.99, you get a game that for all intents and purposes is a heck of steal for what you're getting. 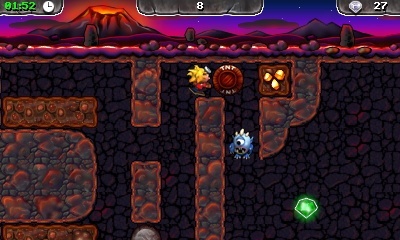 Digger Dan DX is a 2D spelunking game that has the titular Digger Dan move through the dirt, whether up, down, left, or right, collecting jewels and gems. 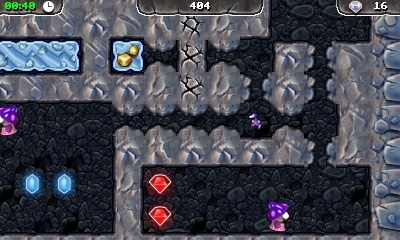 Collect all of the shiny goodies in a level, and you unlock the exit door. Of course, there's more than just dirt to get in our main man Dan's way. 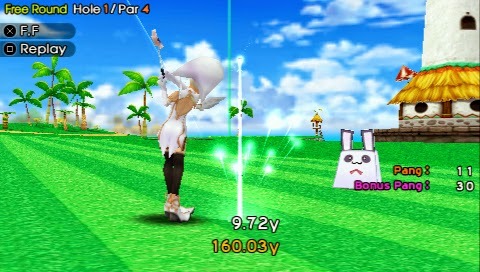 A variety of obstacles and level gimmicks come into play to bring some nice variety to the gameplay. Many levels have rocks and blocks that fall when the dirt underneath them is dug up by Dan. This results in them quickly falling down thanks to the law of gravity. It's paramount to carefully dig so you don't get crushed by a falling rock or block. The difference between rocks and blocks is that rocks can be pushed aside while blocks cannot be moved manually at all. Quick, Dan! Move out of the way before you get crushed! The biggest puzzles in Digger Dan DX revolve around cautiously maneuvering Dan so he doesn't get crushed, nor do you want him to accidentally cause a rock or block to impede his progress. 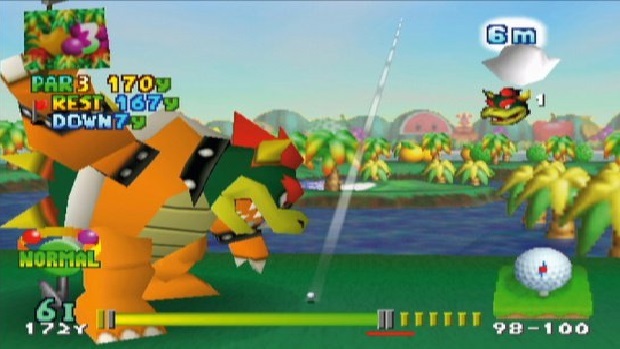 Getting blocked, whether through putting a rock or block in his way so he can't escape, or dropping a rock or block on top of a jewel so Dan can't reach it means you'll have to restart the level. Rocks and blocks can also be pushed from high places to destroy weakened, cracked sections of floor, allowing Dan to enter new areas of levels. 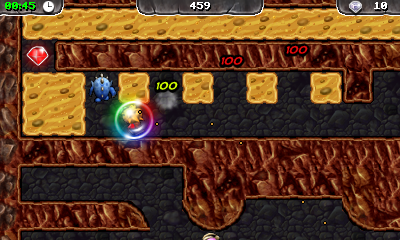 There are other level gimmicks thrown in for good measure as well, such as TNT barrels that explode upon impact with the ground from being dropped from a high place, underwater sections that Dan can drown in if his air supply gauge empties all the way, enemies that can be defeated through a myriad of ways, buttons that open doors temporarily or permanently through pushing a rock on top of them, and floors that slow Dan's movement down by half. This unsuspecting enemy is in for an explosive afternoon. A clever mechanic has Dan utilizing the help of a small digging animal, able to fit through small gaps in walls that Dan's normal human size just can't fit through. Plenty of levels cleverly have you switching between the two characters to assist one another in getting through the levels. One instance had me controlling the miniature little helper through a tiny gap and standing on a red button that in turn opened a door for Dan to slip past. The only thing that this perfect helping pal can't do is push rocks. Hey, we can't all be perfect! Slip through miniature gaps with Digger Dan's trusty companion. 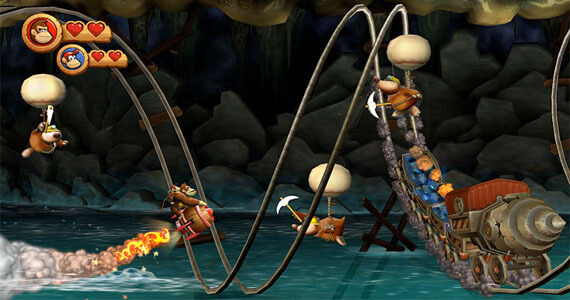 There are 100 levels total in Digger Dan DX, and they are split up between four types of levels ranging in different difficulties. Once you finish one batch of 25 levels, the next 25 unlocks. You have to play the levels in order, so if you're wanting to jump around, this is not possible unfortunately. 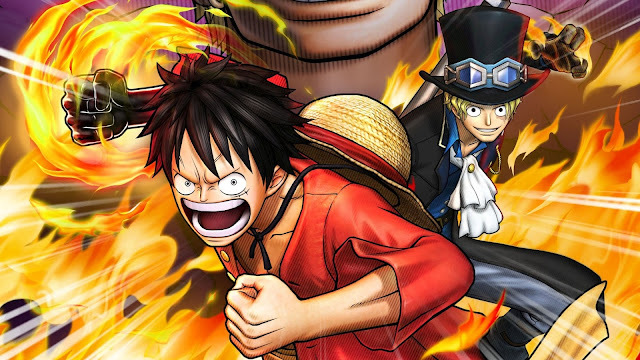 Each level has replay value from trying to not only get a high score (though, sadly, there are no online leaderboards to be found), but also in getting a gold star on each level. 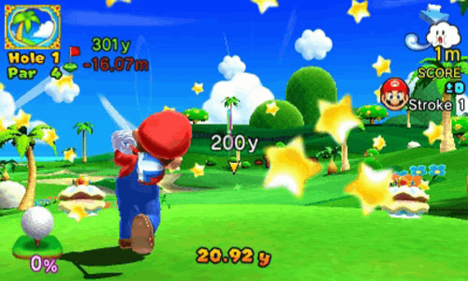 Getting a gold star is performed by beating a level before the timer hits zero for a time bonus, and by collecting a special gem found by digging up a specific piece of dirt, revealing the gem. Though some of the locations of these hidden special gems seem more random than well thought out. This shield not only allows for invincibility but also fast footwork for Digger Dan. Digger Dan DX has a nice stereoscopic 3D effect. It's nothing that will absolutely astound, but it is more than serviceable. The visuals have a charming 3D rendered look to the characters, and the environments are detailed just enough, though be prepared to see lots of gray and brown. The music on the other hand is pretty grating as there but a small handful of tunes heard throughout the game. 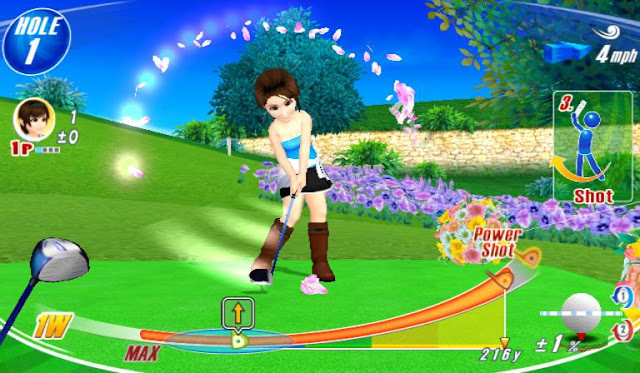 For the price, Digger Dan DX is an easy recommendation for those looking for a great time-waster to play on-the-go, beating a level or two as you go. The 100 levels and getting gold stars on each means you'll have incentive to keep playing. While the game can get really perplexing in later levels due to having to think before you dig (or else you'll find our pal Dan crushed to death), Digger Dan DX is quite dandy as a download on the Nintendo 3DS eShop.